Sunday Adelaja's Blog WORLD'S RICHEST CHRISTIANS INCLUDING NIGERIA’S BILLIONAIRE BARONESS FOLORUNSHO ALAKIJA! A recent research has shown that more than half of the world billionaires have been identified as Christians. The study, from the nonpartisan wealth research firm New World Wealth, found that of the 13.1 million millionaires in the world, 7.4 million, or 56.2 percent, identify themselves as Christian when asked about their religion. The study also revealed that the richest countries are also Christian-dominant. According to New World Wealth, 7 of the 10 wealthiest countries—ranked by number of millionaires—are “Christian dominated,” according to the report. 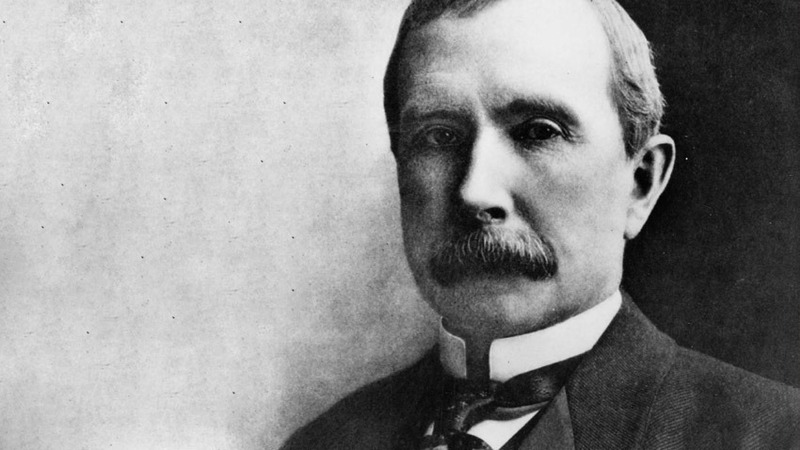 He was the founder of the Standard Oil Company, which dominated the oil industry. Rockefeller revolutionised the petroleum industry and set the standard for modern philanthropy. From his very first paycheck, Rockefeller tithed ten percent of his earnings to his church. As Rockefeller’s wealth grew, his giving also increased, with most of his giving going towards educational and public health causes, as well as basic science and the art. He became the world’s richest man and the first American worth more than a billion dollars. After taking into account inflation, he is often regarded as being the richest person in modern history. 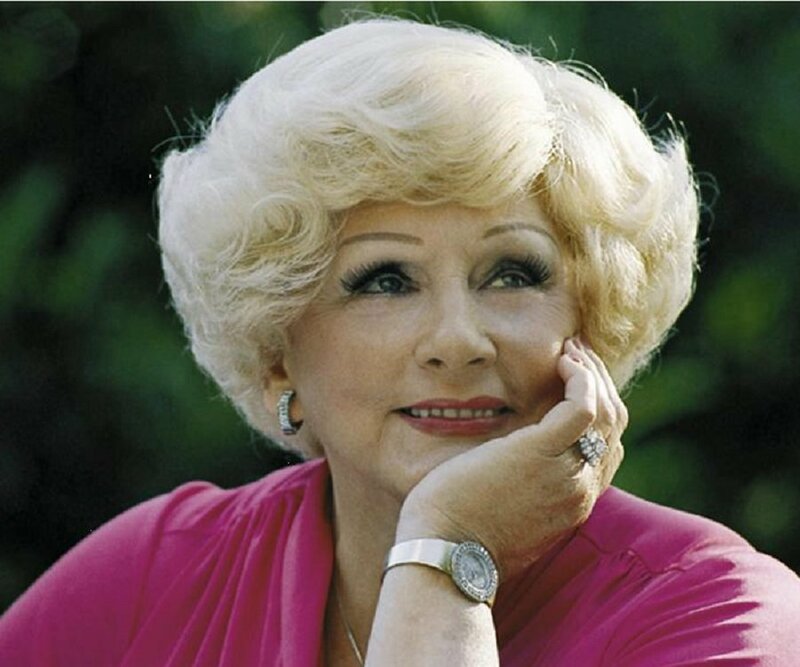 Mary Kay Ash retired in 1963 after being passed over for a promotion in favour of a man that she had trained. She intended to write a book to help women in business. The book soon turned into a business plan, and in 1963, Mary Kay Ashbegan Mary Kay Cosmetics with a $5,000 investment. The founding principle of Mary Kay Cosmetics was known as the “Golden Rule”, upon which the company’s marketing plan was developed to allow women to advance by helping others to succeed. She advocated “praising people to success” and her slogan “God first, family second, career third” expressed her belief that the women in her company should keep their lives in the right balance. Mary Kay was honoured as the number 1 leading female entrepreneur in American history. Within a few years, Tyler Perry went from being homeless to selling out theatres. 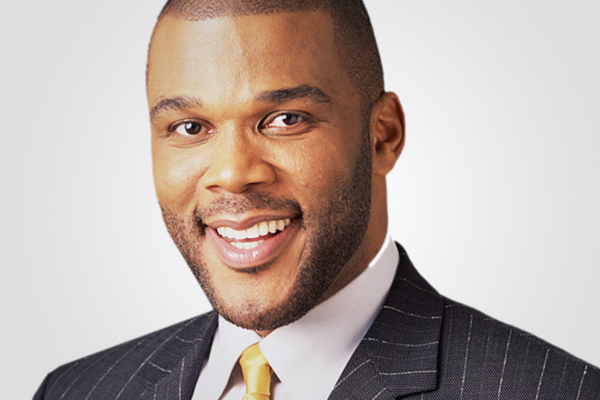 Tyler Perry is an outspoken Christian who credits his success to God. In 2006, he established Tyler Perry Studios and in 2008 it moved to its current location – a 200,000 square foot studio facility situated in Southwest Atlanta, USA. 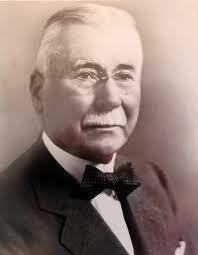 Henry Heinz was a nineteenth century Christian businessman who founded the Heinz company 1869. Heinz based his business on Christian principles and proclaimed that his success was a direct result of his faith in God. Heinz was committed to bringing out the best in people and his company was credited for its fair treatment of workers and for pioneering safe and clean food preparation. Today the Heinz company is worth around $12 billion. It’s most famous product is tomato ketchup, with 650 million bottles of Ketchup being sold every year. 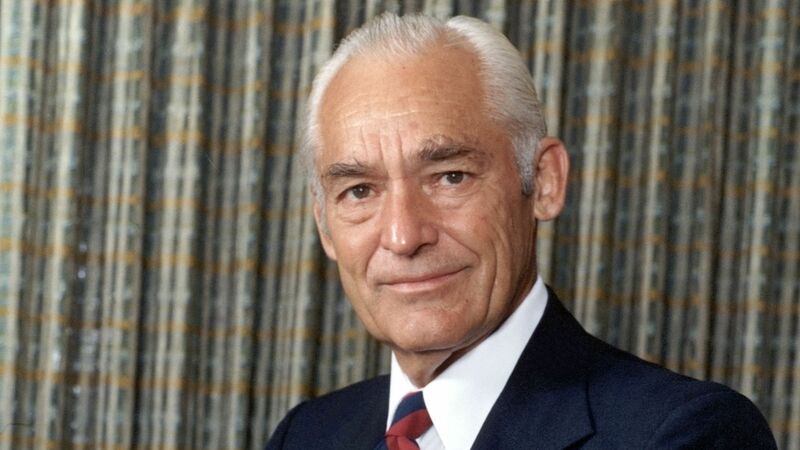 Sam Walton was an American businessman and entrepreneur, best known for founding the Wal-Mart retail stores. With his strong Christian background based on ethics and hard work, Walton excelled in school, college, and business. Early in his career, he worked as a management trainee for J. C. Penney. In 1998, Walton was included in Time’s list of 100 most influential people of the 20th Century and Forbes ranked him as the richest man in the United States from 1982 to 1988. Interestingly, Bill Gates only topped the list for the first time in 1992, the year Walton died. 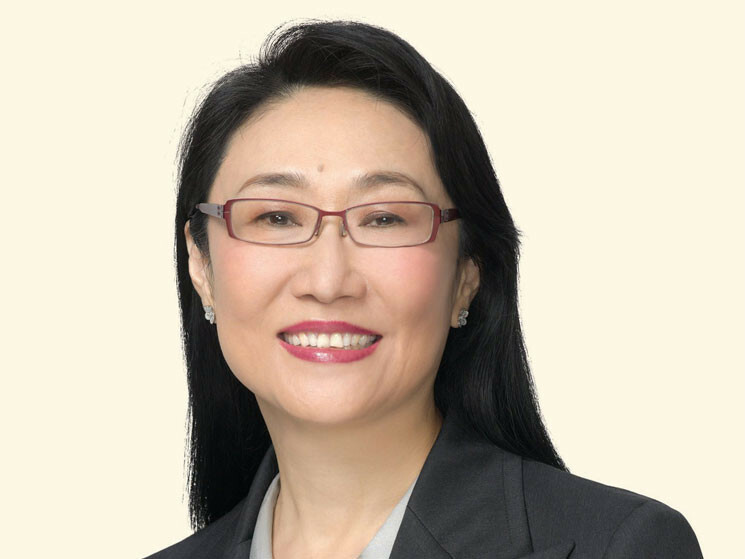 Cher Wang is a Taiwanese entrepreneur who co-founded smartphone maker, HTC Corporation and VIA Technologies. Her late father was Wang Yung-ching, who was one of the richest individuals in Taiwan.Wang is a devout Christianwho was quoted as saying that the Bible is “the best book about management practice”. One of the most important things she has learned from the Bible is that a person must have a vision, otherwise he or she will be destroyed. The vision for HTC Corporation came during her early career whilst Wang was working in First International Computer. As she dragged bulky, heavy computers to client offices, she knew there must be a better way of designing a computer that could fit in the palm of your hand. In 1997 she acted on that vision and HTC Corporation was born. In May 2011, Forbes ranked her and her husband Wen Chi Chen as the richest people in Taiwan. Following some challenges with HTC’s sales dropping in recent months, Forbes ranked her and her husband’s as Taiwan’s 13th richest people with a combined net worth of US$2.5 billion in 2013. 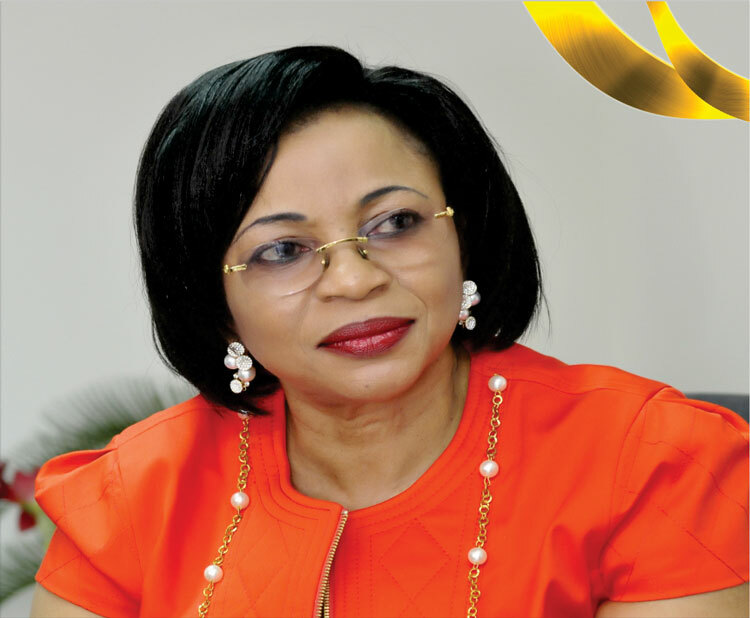 Alakija started out her professional career in the mid 70s as a secretary at the now defunct International Merchant Bank of Nigeria, one of the country’s earliest investment banks. In the early 80s, Alakija quit her job and went on to study Fashion design in England, returning to Nigeria shortly afterwards to start Supreme Stitches, a premium Nigerian fashion label which catered exclusively to upscale clientele. This was in 1993. Many wealthy Nigerian businessmen and military bigwigs who had been allocated oil blocs by the military administration at the time had no clue as to the technicalities in operating an oil block, so many of them typically acquired OPLs, and then flipped them off to international oil companies for substantial profits but Alakija was intelligent. She had no expertise or experience in running an oil field, but she decided not to sell off her license. In September 1996, she entered into a joint venture agreement with Star Deep Water Petroleum Limited (a wholly-owned subsidiary of Texaco) and appointed the company as a technical adviser for the exploration of the license, transferring 40 percent of her 100 percent stake to Star Deep. Subsequently, Star Deep sold off 8 percent of its stake in OPL 216 to Petrobas, a Brazilian company.Folorunsho Alakija and her family owned 60 percent. Folorunsho Alakija is the founder of the Rose of Sharon foundation, a Christian-based charity which gives out small grants to widows. In 2013, she replaced Oprah Winfrey to become the richest black woman in the world with a $1.88b net-worth. 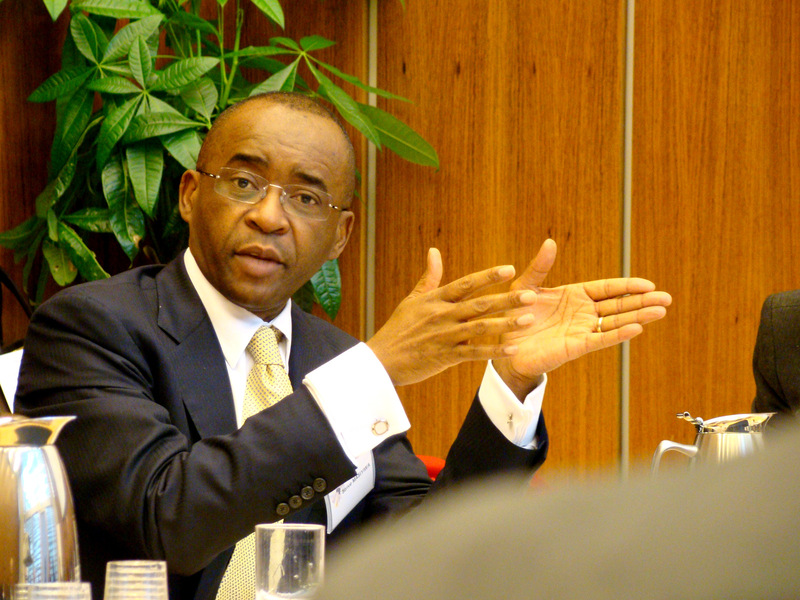 Strive Masiyiwa is a Zimbabwean born businessman who founded Econet Wireless. South African based Econet Wireless is now a global telecommunications group with operations, investments and offices in more than 15 countries. A born again Christian, Strive Masiyiwa was quoted as saying that he reads his bible for at least 4 hours a day – if he’s busy! He tithes 10% of his annual income to his church. 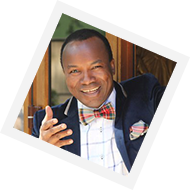 Together with his wife, he personally pays the school fees for over 22,000 Zimbabwean orphans. According to Forbes, 2015, he has an estimated net worth of US$600 million. 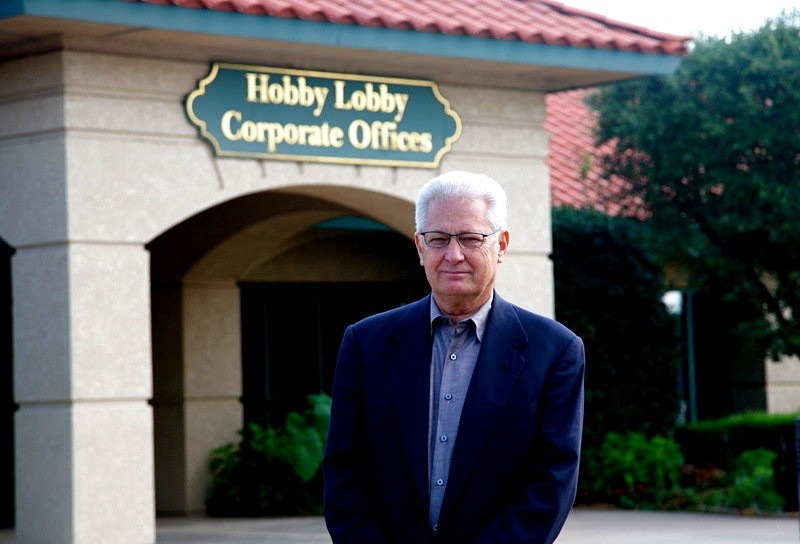 He is a 70 year old billionaire and founder of Hobby Lobby, an arts and crafts chain with 520 superstores in 42 states. Green and his family own 100% of the company and he ranks No. 79 on the list of the 400 richest Americans, with an estimated net worth of $4.5 billion. He was quoted saying; “If you have anything or if I have anything, it’s because it’s been given to us by our Creator, so I have learned to say, ‘Look, this is yours, God. It’s all yours. I’m going to give it to you.’” Green keeps the total amount of his giving private but Forbes has estimated his total lifetime giving at above $500million, making him the largest individual financier of evangelical causes in America. Green sponsors the YouVersion Bible app for mobile phones which has already been downloaded over 50 million times. He also plans to give 90% of his wealth to ministry work when he dies. He is the owner of the largest private collection of biblical antiquities in the world and plans to open the Museum of the Bible within three years. Green recalls the memory of his parents’ putting their last dime on the collection plate. His father was a poor preacher yet despite their financial state, Green’s mother stepped out in faith and regularly gave to the church. He attributes his blessing to his mother’s giving and the fact that he continues to give today. Jin Sook and her husband Do Won Chang rank No. 79 on the list of the 400 richest Americans, in joint place with David Green. They are the founders of fashion retail outlet “Forever 21”. In 1981 they immigrated to America from Korea. Do Won held three jobs to survive, doing janitorial work, pumping gas and working in a coffee shop. They soon opened their first clothing store in 1984. Today Forever 21 operates 480 stores with an estimated annual turnover of over $3 billion. Jin Sook and Do Won Chang make a point of printing John 3:16 on the bottom of every Forever 21 shopping bag. 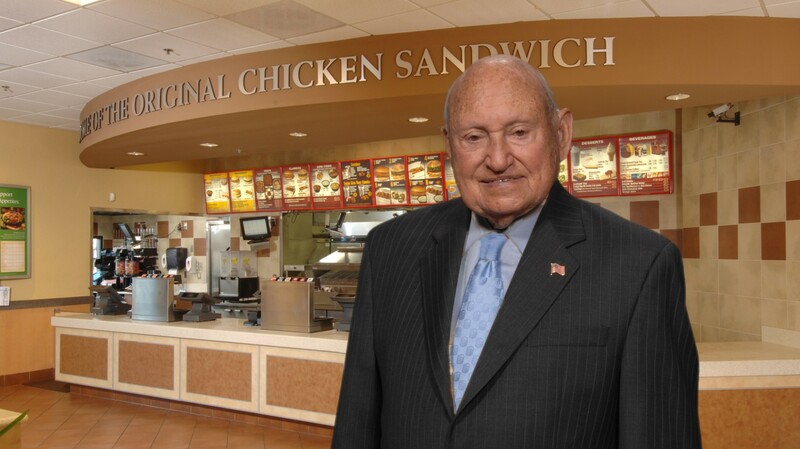 Truett Cathy is the 91 year old founder of food outlet Chick-fil-A and ranks No. 89 on the list of the 400 richest Americans. He opened his first Chick-fil-A outlet in Atlanta in 1967. Forty-five years later, the devout Baptist is the CEO of the second largest fried chicken chain in the country, with KFC being the largest. All Chick-fil-A stores are always closed on Sundays so that employees can attend church services. 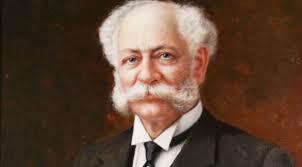 Henry Parsons Crowell was an extraordinary Christian business man and founder of the Quaker Oats Company. He brought oatmeal to the mainstream, revolutionised marketing and merchandising methods of his time and advanced the Gospel through the Henry Parsons and Susan Coleman Crowell Trust. The Trust states that its purpose is to fund the teaching and active extension of the doctrines of evangelical Christianity. Henry had no high school diploma or business qualifications. At a time when the Quaker Oats Company was struggling, he brought his business problems to the Lord. An idea soon came to him to package the oats in individual cardboard containers. Up to that point, oats were presented for sale in an unhygienic manner in big barrels or boxes on the grocery floors. The idea was a success and demand soared. During the depression of 1893, 15,000 other businesses went bankrupt but Henry decided to make bold investments in advertising. He put billboards on trains and adverts in newspapers and magazines promoting “Quaker Oats, the World’s Breakfast”. He pioneered the use of celebrity endorsements and wrote the ads himself. At a time when others were failing, Henry’s business was a huge success. Instead of the usual method of approaching stores and convincing them of why they should stock his product, he advertised straight to the consumer. The consumer would in turn make a request to their local stores that the item be stocked. In so doing, Henry turned housewives across America into his sales people! Many business people and corporate giants came to Christ as a result of their association with Henry and his wife. The more money Henry gave to Christiancauses, the more he prospered. He became hugely wealthy in various other businesses. He believed that all things were a stewardship from God. Towards the end of his life, Henry had given away 70% of his wealth. He went to be with the Lord at the age of 82, while riding the commuter train back to his house with a Bible in his hand. A book was written about Henry titled “The Cereal Tycoon” by Joe Musser. WOW,love these,very inspiring.. Thank you sir. I like the reading of the bible part, Tithing, "God first, Family Second and Career..... God is good! God's principle has never fail and it is sure never fail. God want us to seek for Him first and be in upright standing with Him. If we do this His promise that He will supply all our needs according to His riches in glory is stand firm. I am happy with you millionaires and billionaires of our time that affect other people's lives with your wealth. May God be with you all in Jesus Christ name-Amen. Lottery is not a creative venture...its not the best for children of God...God is creative. I want to be a Leading Billionaire in this world before age 42...that's what came to my mind. So help me God. Joshua Ezedebego, Amen. man of God i want to be a bellionaire by the age 37 pliz pry 4me . I'm blessed reading it! You are truly blessed by the Almighty for the World!!! i am highly indebted as a result of hoodlum that stole my 10litres of Kerosene product .i cant sleep at night. Quite inspiring and didactic, especially Mrs. Folorunsho Alakija's profile. I am very encouraged by the great partners of God in business affairs. my faith have been stirred up in trusting God more that He is able to prosper his people, and i believe that i am going to be the next on the list in Jesus Name. Iam a pastor at Bethsda Baptist Church in Kenya seeking your prayers and fellowship in any way possible for the gospel cause in Kenya.View the above link.This link was made of me by Mary O'Donnel please view it and let me hear from you.God bless you all. The Lord be with you sir! Tomorrow, by God's grace, i would like to meet with you, or call you on phone or send you an email-whichever you prefer. My phone:+2348033952835. My office address:TF Communications. 28b, Gbemisola Street, Off Allen Avenue, By First Bank Bus Stop, Ikeja, Lagos, Nigeria. I am a Vetting Executive, a Speech writer, a Freelance Journalist, and, most importantly, a Pastor (not full time yet). Again, the lord be with you sir! Very Sincere regards. Who is the current richest person on earth sir?born again or just a christian? Bill Gates and he is none of the things you mentioned! Wow..what a powerful exposure ...am greatly inspired, I've actually been Looking for a succesful Nigerian Christian businessman for a model.. This is a very exhaustive post. Very well researched and inspiring. It's amazing to know that God has these people in positions of power and wealth to do so much good. We need to see more:) Thank you for this great post! I am fulltime Pastor for 34 years married with four children, three girls one boy. My wife is God fearing and a seamstress by profession. My first two daughters have obtained First Degree in Psychology and Agriculture Science respectively. They. They have the dream to study Masters to enable them teach at the second circle institutions. I am appealing to all Christian Rich People who will allow himself or herself to be used as an instrument in the hands of God to help this noble dream to come to pass. God richly bless you. Remain, and hoping to hear from you soon. Yours in His service. Rev. Frank Owusu Kedjah.